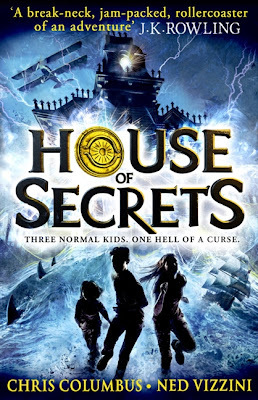 House Of Secrets is the forthcoming children's book collaboration by director/producer Chris Columbus and author Ned Vizzini. The novel follows the three Walker children - Cordelia, Brendan, and Eleanor - as their family move into Kristoff House, an ominously old and creaking building, located high above San Francisco. It's called House Of Secrets and the book cover features ships, sharks, water and bi-planes. So yes, there's a lot more. Mysteries abound, in fact! It is, at the very least, above average children's fiction, although slightly older readers should be aware that this is one of those works that is very definitely aimed at the younger audience. The writing has some nicely charming bits to it and some clever, slyly included, jokes. It probably features the only group of knights to ever be scared away by 'bold packaging' and definitely the only giant ever to be called Fat Jagger. The short chapters and fast pace are a joy to whizz through. 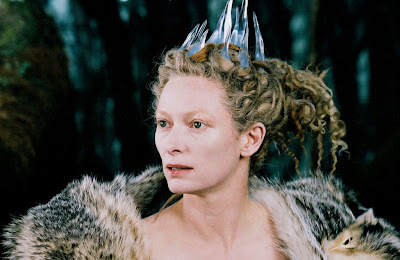 At times it reads like a hotch-potch of ideas from children's fantasy literature from the past twenty years. Almost everything you can think of is here at some point although, of course, if you're an eight year-old, you probably won't be able to think of many. Though it is an inevitability, the extensive inclusion of branded technology in any narrative always makes me think said narrative will date quicker than timeless pieces. The PSP, consistently referenced here, for example, has already been superseded. Columbus is a major Hollywood player so it would be more of a surprise if this didn't make it as a film, rather than if it did, although currently there are no firm plans. The main three players are kids so, in all likelihood, you're talking unknowns. 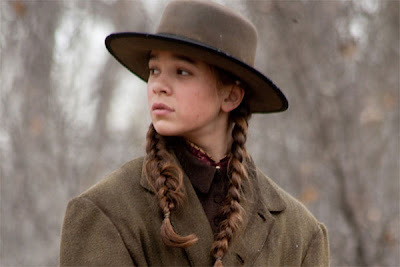 Having said that, Hailee Steinfeld is more or less the right age for Cordelia. There's a key older female character which Tilda Swinton would be perfect for, although she has done very similar things before. It's got the plot to be very appealing, so you can certainly see it being a success financially. The plot could possibly do with some tightening and much of the dialogue is a bit ropey, so some work needed yet. So... Why isn't it a film? As Obi Wan once said, 'patience'. Unsurprisingly, Vizzini and Columbus both consider this the first in an 'epic' series. Glad you liked it Anon! I must say I soured on it slightly after I'd finished it, but good to hear it did more for you! I LOVE the book and I love the characters. But I am seriously wondering who would star perfectly for Will Draper... I am still thinking about which 17-year-old celeb would fit into this British army boy. Let me just say when this book becomes a film, I'll be the first in line to buy cinema tickets!